September 29th, 2018 at 10am Prompt: COURTESY CALL to the Executive Governor of Anambra State followed by a PRESS BRIEFING Start 11:30am highlighting the following – Music Africa Awake/Tourism and Entertainment Development prospects of Anambra State. This includes an art exhibition on Anambra State Entertainment, Arts and Cultural products to be commissioned by the SSG. On 29th of September a seminar with the University of the West Indies and Nnamdi Azikiwe University participants, Guest speakers and Representatives from music and Copyright organizations, shall be educating Nigerians/Africans, upcoming artistes on the THEME: “MUSIC AS A BUSINESS “and “How to Collect their Royalties”. Seminar start after lunch break 2pm prompt…Followed by Interactive Session and Photo shot. September 30: AWARDS CEREMONY & Pre-Independence Day banquet Nite (in honor of Anambra State Government) Top government personalities and corporate individuals will be recognized and honored with award plaques for their immense contributions to the 21/21 victory of APGA and for supporting Governor Obiano’s visionary government achievements. On 30th of September …. All the Musicians will have the opportunity to tell Nigerians/Africans the importance of unity and one love in a special Press Conference and courtesy visits. Special Guest speakers invited to throw more light on why Africans must be united and love one another. The South Africa artiste shall talk more about the xenophobic attack and why Africans must eradicate it in Africa. As the founder of Music Africa Awake “Prince Emeka Ojukwu” and the Originator of the “Nigeria Reggae Festival” is from Nigeria but lives in South Africa, the organizers plan to do a short Documentary of our South African brothers and sisters living in Nigeria, plus how we have been taking care of them and we’ll like to educate on the way to live and taking care of our brothers and sister living in their country as we’re one Africa, we wish to partner with SABC (South African Broadcasting Cooperation) to showcase a Documentary to enable us to strengthen our relationship with South Africa and other Africa States. Time: 2pm-6pm. From 6pm to 8pm there shall be a Banquet Dinner and Awards ceremony with a live band performance. Venue: Fenotes Hotel. 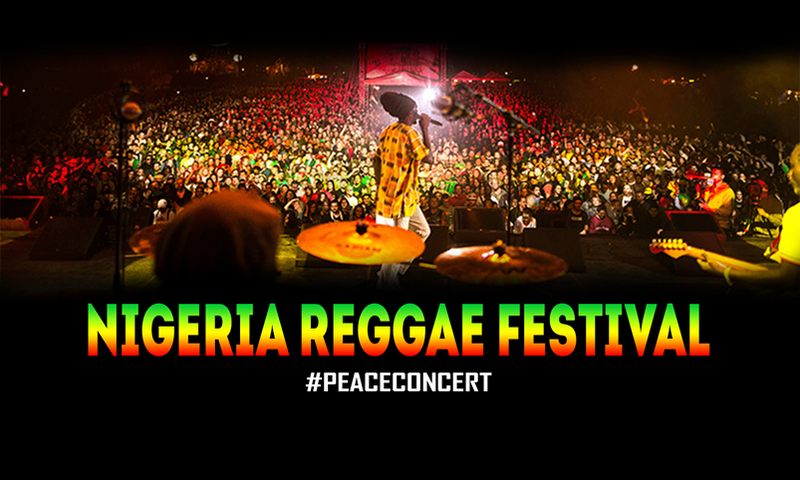 October 1st: PEACE CONCERT @ Ekwueme Square immediately after the Independence Day celebrations at the field. There will be exhibitions of Made in Anambra State products from young entrepreneurs and small medium enterprises. Sir, it is our hope that we work together on this free Nigeria reggae Festival. We look forward to your support and cooperation on this historic event. 1st of October is the main event day from 12noon till Dawn. As from 12noon Vendors will showcase reggae products, African Foods, African clothing’s, with the Selectors Playing Special Dubs and DJs. Venue: Alex Ekwueme Square, Awka. Note: The festival shall be wrapped up with a Tour of some tourist centers in Anambra State.